Portuguese varietals were planted in Calitzdorp during the late 1970’s with Tinta Barocca being the first to find its way to the Klein Karoo. Now Calitzdorp is known as South Africa’s Port Capital with these varietals leading the way. 30 year old vines were planted in shallow Karoo sand/clay on Buffelsvlei. Vines are trellised and micro irrigated. The wine was made by Boets and Stroebel as the first Cape Pink in South Africa early February 2008 and the result exceeded all their expectations. Naming this new baby was a real challenge, until they discovered that Marks & Spencer in the UK had just launched a new port made by Croft, one of the original port houses in the Douro Valley of Portugal, called Croft Pink. Voila! The new wine got the name De Krans Pink Port. 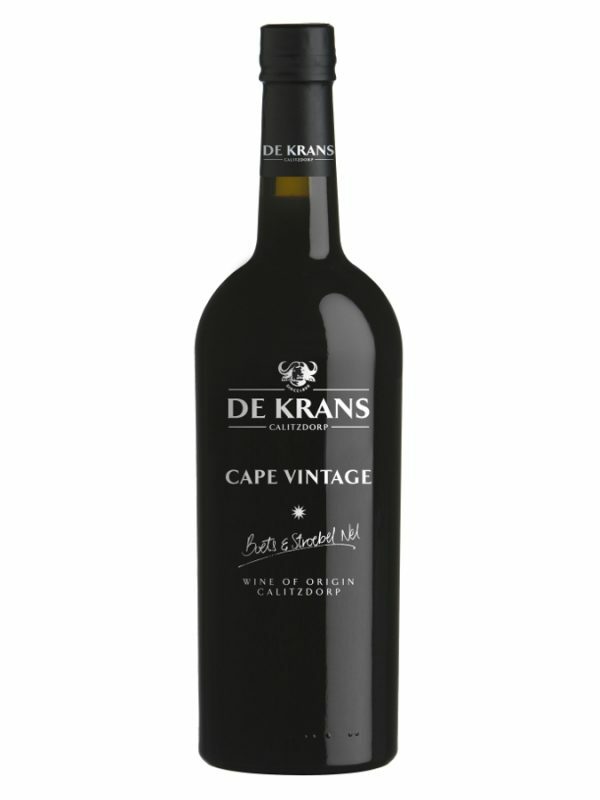 De Krans Cape Pink is made from traditional port varieties Touriga Nacional, Tinta Barocca and Tinta Amarella. The lovely colour was acquired by allowing only a few hours skin contact and the juice then cool-fermented for approximately five days before fortification with unmatured brandy spirit. The result is a port with a lovely vibrant blush colour. Best enjoyed with crushed ice or creatively adding a blend of your favourite mixes as a cocktail during hot summer months by the pool or a welcoming drink.